I was fourteen when I first became aware of The Beatles. In the Summer of 1963, Del Shannon (whose "Runaway" was a huge #1 in 1961) hit the lower end of the Pop charts in June with his rendition (basically note-for-note) of "From Me To You", the original version of which had been released a month earlier by Vee-Jay Records to little or no reaction. I was curious about the composers listed on the 45 r.p.m., a duo known Lennon-McCartney. The group's first appearance on American television took place on November 18, 1963 on NBC-TV's "Huntley-Brinkley Report" with a report by Edwin Newman. They showed up three days later on "CBS Evening News" but they soon were forgotten due to the assassination of President Kennedy not to reappear until January of 1964 on "The Jack Paar Show" in a report the late-night host had recorded several months earlier. Capitol Records has passed up releasing the early singles by the quartet but, at the end of 1963 knowing that the band was coming to the US the coming February, the label issued "I Want To Hold Your Hand" paired with "I Saw Her Standing There" - perhaps it was the shock of the Kennedy death and the need for something bright and different but the music caught on. The multiple appearances on "The Ed Sullivan Show", the concert tour, the screaming girls, the curious boys, whatever, by the end of 1964, the British has reconquered the Colonies and popular music was changed forever. Fast forward three years. So much has changed in the popular music. "Scenes" from cities such as San Francisco, Los Angeles, Memphis, Chicago, and Detroit created music that jockeyed for the position on the airwaves with The Rolling Stones and The Who from England. The Beatles had stopped touring, tired of not being able to hear themselves and the lack of privacy. "Revolver" had been released in August of 1966, showing a band in transition, moving from "pop stars" to "artists", experimenting in the studio with new sounds and approaches was well as outside with drugs. By early 1967, the band was being pressured to create a follow-up but they seemed to be in no hurry. 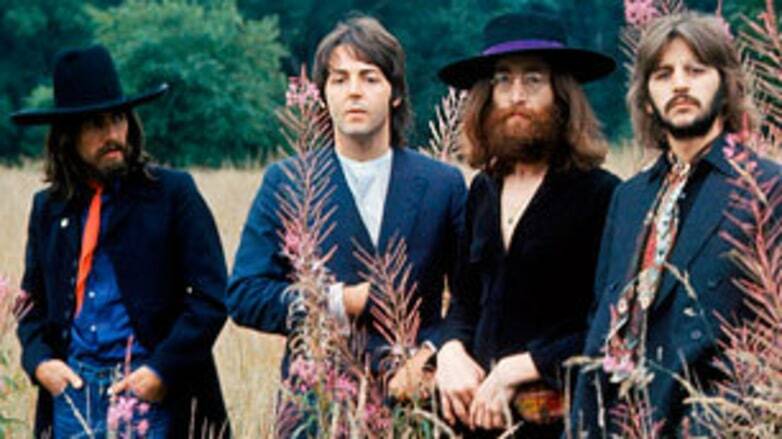 In February, The Beatles released "Strawberry Fields Forever" and "Penny Lane" as a "Double A-side" single. 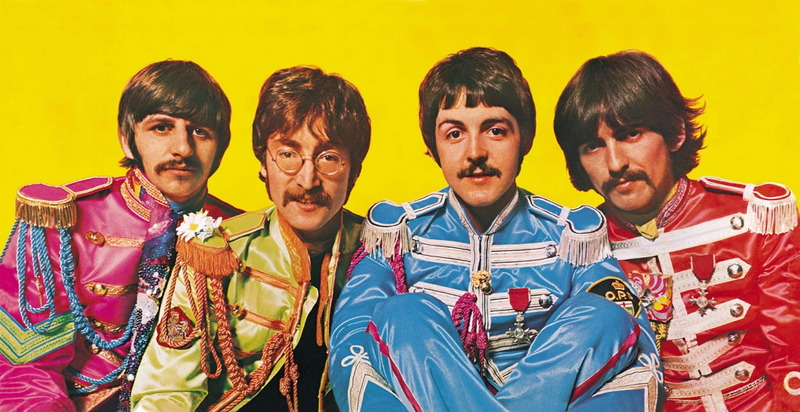 Many of their early fans were put off by Lennon's experimentation on the first track while others embraced the snappy McCartney tune. Word leaked out through the "pop music" press (especially the British papers "Melody Maker" and "New Music Express") that the band was creating more new work, their most experimental to date (not that the songs above were slouches in the experimental category). On June 2, 1967, the album, titled "Sgt. Pepper's Lonely Hearts Club Band" was issued to great reviews save for Richard Goldstein (and a few others) in the New York Times (read more here). But my friends and I were intrigued on initial lesson. They loved the drug references and the "weird" sounds; I was the only one who loved the George Harrison song "Within You, Without You" as well as the vaudevillian "When I'm Sixty-Four." Even though I was about to enter my second year of college, I was not "into" the growing drug culture. I was "into the music." No need for marijuana or LSD when sitting between my speakers on the floor. I was told that the drugs would really help me to focus on the sounds hidden to the "regular" mind. Truth to be told, drugs scared me. I had seen the effects of a "bad trip", watched people get so wrapped up in being "wasted" that they got lost. Many of them recovered, some of them never had issues with bad reactions; but, try to be one of the only people at at a party that does not partake when the joint is being passed or the cocaine is laid out in lines. But, that is another story. "Sgt. 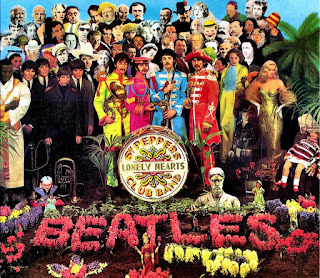 Pepper" is not my favorite Beatles album (it's a toss-up between the afore-mentioned "Revolver" and its predecessor "Rubber Soul") but I still enjoy much of it. The Beatles were never the same afterwards although there were great songs produced in the years before finally splitting in 1970. As a cultural artifact, the 1967 album lost its power in the maelstrom of the Vietnam war, American ghettoes burning, and the fact that "peace and love" did not take over the world. The music on the album is good if a bit "twee" at times but the world need more reality than surreality, more soul and less soul-searching. Yet, music changes all the time and people love nostalgia. 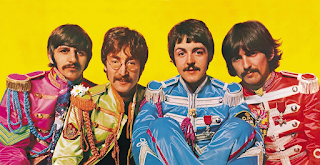 For people like me who loved - and still loves - to explore where music can take me, can take an audience when artists are willing to take chances, The Beatles remain an important part of my life's soundtrack.